The Yamasaki TLU Series of Intelligent Laser Source are the latest design in Multiple Wavelength Fiber Optic Light Source Technology. Available wavelength ranges include; 850nm, 1300nm, 1310nm, 1490nm, 1550nm, 1625nm. It can generate Wave ID and Tones and the output power is easily adjustable. 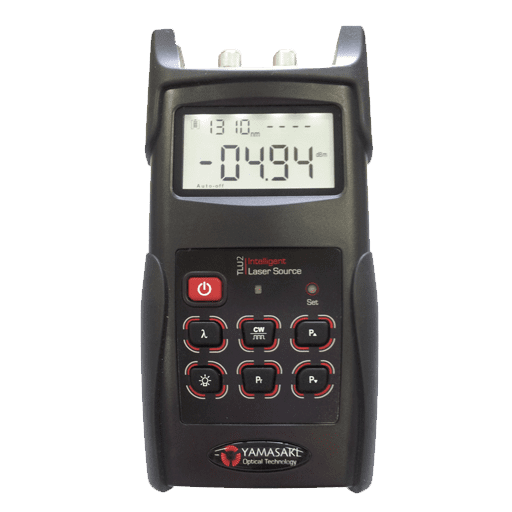 This ruggedized handheld unit can be used in conjunction with the Yamasaki Intelligent Power Meter to provide a accurate and reliable test solution with downloadable results. 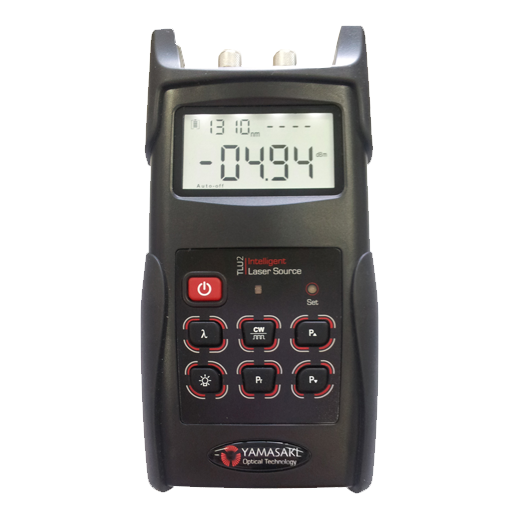 The Yamasaki Fiber Optic Laser Source also features an ambient light sensor which allows the LCD screen to automatically adjust to the brightness of your surroundings.